Comfortable accommodations adjacent to Georgia Tech have our guests giving high marks to the non-smoking Renaissance Atlanta Midtown A Marriott Lifestyle Hotel. The 21-story non-smoking Renaissance greets guests with an impressive airy lobby. All 304 rooms have 37-inch flat-panel TVs with HBO work desks coffeemakers mini-fridgess and sofa beds. Wi-Fi is available for an additional fee in rooms and is free in public spaces. The hotel restaurant Community Smith is a contemporary meatery serving seasonal dishes and the rooftop bar and grill offers cocktails and shareable plates with a fantastic view of the city. Room service is also available. The hotel also features a state-of-the-art fitness room and a business center. 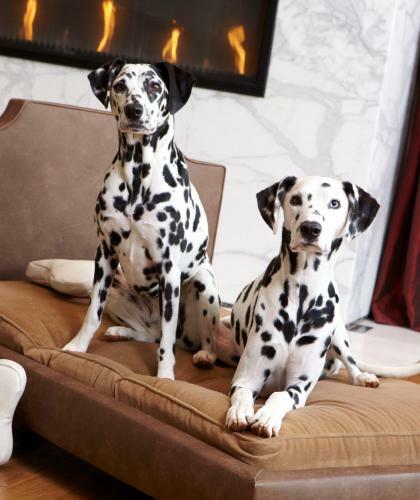 Valet parking is available for an extra fee and pets are welcome with restrictions. 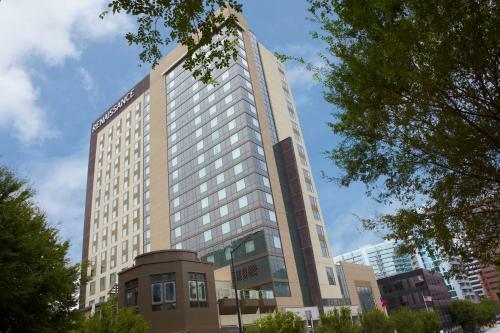 The Renaissance is adjacent to Georgia Tech two blocks from MARTA's Midtown Station and within walking distance of restaurants and shops. It's less than two miles from the Georgia Aquarium and three miles from the Georgia Museum of Contemporary Art. The Atlanta Botanical Garden is less than 10 minutes away. Hartsfield-Jackson Atlanta International Airport is 12 miles from the hotel. 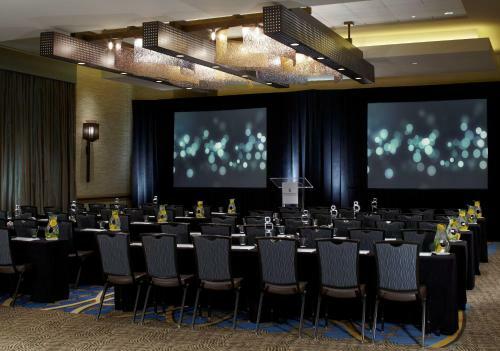 Add Renaissance Atlanta Midtown Hotel to your free online travel itinerary.